The five-member San Francisco Port Commission has voted unanimously to approve the construction of a new cruise terminal at Pier 27. The project will meet growing needs of San Francisco’s cruise business and provide platform for 2013 America’s Cup Races, officials said earlier. The City by the Bay is eagerly anticipating the triumphant return of one of the American music industry’s most enduring and beloved artists. Organisers of International Pow Wow estimate that hosting the influential travel convention in San Francisco will generate an extra $350 million from tourism for the city over the next three years. Around 3,500 exhibitors and 450 media attended this year’s event. Breaking Travel News interviews Carroll Heavisides, head of corporate sales for Jet Airways talks about new routes to Shanghai and San Francisco. It is one of the fastest expanding airlines in the world. 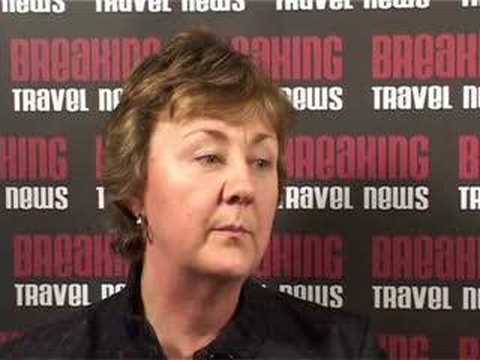 The interview was conducted at the Business Travel Show, Earls Court, London.